Was fortunate to attend the soft opening friends and family event for the Cleveland opening of Michael Schwartz restaurant. Lots of great food, but only snagged one picture of a dish that was really tasty. 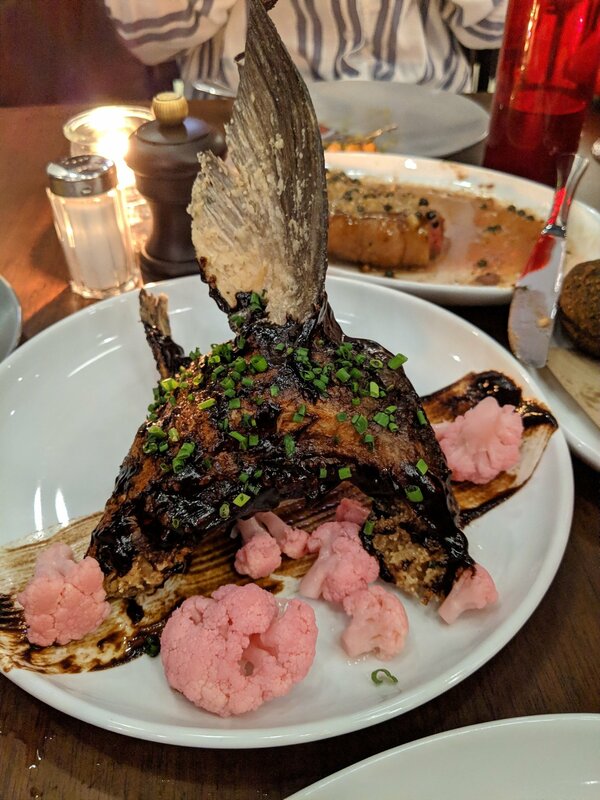 A blackened crispy cobia collar with black garlic bbq sauce, pickled cauliflower, and chives. Man that bird never knew what hit him.